With the release of 2018-19 O-Pee-Chee later this week I thought it would be fun to go back and take a look at the first time the brand’s name appears in the Beckett database,1933-34 O-Pee-Chee V304A and V304B, and make a few observations between the sets. Given the extreme difference in eras, this may not be a smooth sheet of ice, but I think the history lesson will be a fun one. The early 1930s were a different time collecting. We have all heard stories about our father’s father putting cards in bicycle spokes to make the very distinct clicking sound, destroying the good names of cardboard greats across the Americas. I’m sure that early versions of O-Pee-Chee cards succumbed to a simlar fate as well. 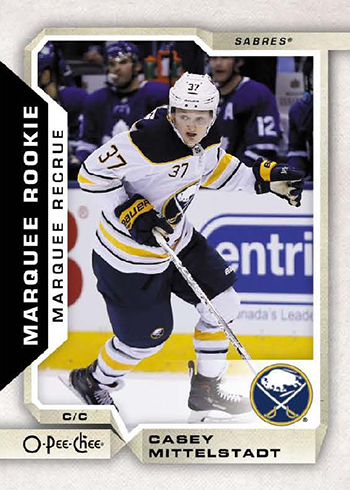 The 2018-19 O-Pee-Chee base set weighs in strong with 600 cards, not to mention the parallels and inserts to go along with it. It looks even bigger when you put it up against the original. The V304A and B checklist has 79 total subjects. These weren’t exactly your common cards of today. If they did end up in spokes that would have been a shame as distribution wasn’t exactly as widespread as it is today. The names on that first checklist read like a who’s who of early hockey history compared to today’s O-Pee-Chee where if you played in NHL you are almost guaranteed a card. That’s not a bad thing at as the brand has become a favorite for set and team builders. The large checklist is a major selling point for O-Pee-Chee today and it’s what helps make it distinct. That means that you’re going to need those non-stars. With the exception of eight cards on the V304A and B checklist, they’re all Rookie Cards. You have to take that with a grain of salt considering that hockey cards were so young at that point. Compare that to the 2018-19 release and the 50 rookies found on the checklist and you can see yet again how times have changed. Given the era of cards the ’33-34 set is coming from, I’m willing to go on record here and say that the designs are not all that different. The V304 sets have the player in front of a star, which was more than what some of the other releases of that time were doing. Skip ahead some 85 years and you will find the modern design is still very clean yet flashy enough to catch your eye. Investment wise, if you want to make a splash, the vintage offering is going to be the way to go. Anyone of the players listed on that checklist would be a nice cornerstone to a collection. However, I have reason to believe there will be some surprises in 2018-19 O-Pee-Chee that will be very nice for the thriftier collector. O-Pee-Chee has changed tremendously in 85 years. 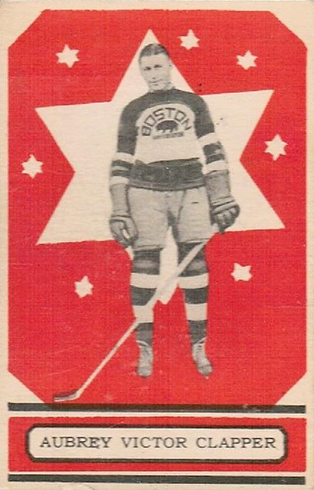 But there is no doubt that when it comes to hockey card collecting the name carries the weight of hobby on its back, and it rarely lets the collector down.